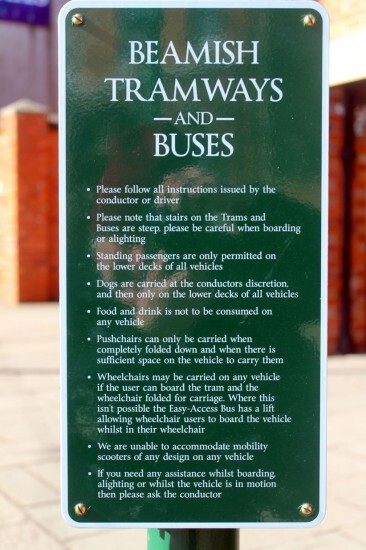 As we have may have mentioned once or twice there are currently two visiting trams at Beamish – Blackpool & Fleetwood Box 40 and Manchester 765. With both now having run in passenger service ahead of their full service introduction at the Great North Steam Fair on Friday 15th March they were both at rest in the depot awaiting their next duties as Trevor Hall took a trip to the museum. 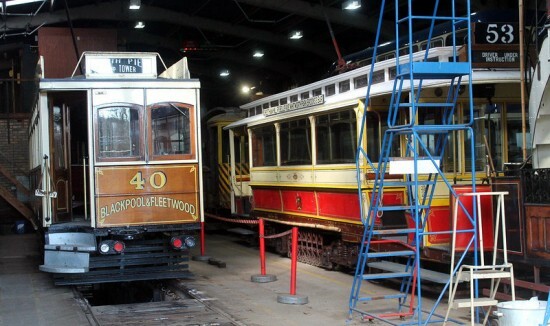 Inside the depot and 40 and 765 are seen. As can be seen 765’s destination boxes and blinds are now fully installed with the tram currently showing “Driver Under Instruction”. Of note 40 also retains its destination boxes with its replica blinds applied when in Blackpool. Also in this photo we can see Oporto C65 behind 765.